We provide stringing services at the Promenade Tennis Shop, located at 5225 Pooks Hill Rd, in Bethesda, MD. Call 301-530-3692 for hours of operation or directions. Drop off your racket today! Hybrid pricing varies by strings used. If you provide your own string, the cost of restringing is $15. If you have a specific string in mind, custom orders are available, but please allow us at least three days to receive the strings in our shop. We also offer re-gripping services and shock absorbers. Please ask for details. We only accept cash or checks as payment. Normally, we can return your racket in 48 hours, but under extreme circumstances, we can return them the next day. PAUL NEAL has been stringing rackets for over 30 years. In 1987, he worked for Champion Stringing in Rockville, servicing the Holabird account. Champion later became Grand Slam Tennis. He continued stringing for the Sports Authority, East Coast Golf & Tennis, and for Worldgate Sport & Health. He is one of the most experienced stringers in the area and for six years he has been a certified racket technician for the United States Stringing Association. Paul can advise you on the most appropriate string selection and tension for your style of game. In addition to restringing, Paul can replace grips, add over-grips, shave or build up your racket handle, and provide minor repairs. For more information, please call the Promenade tennis club at (301) 530-3692. 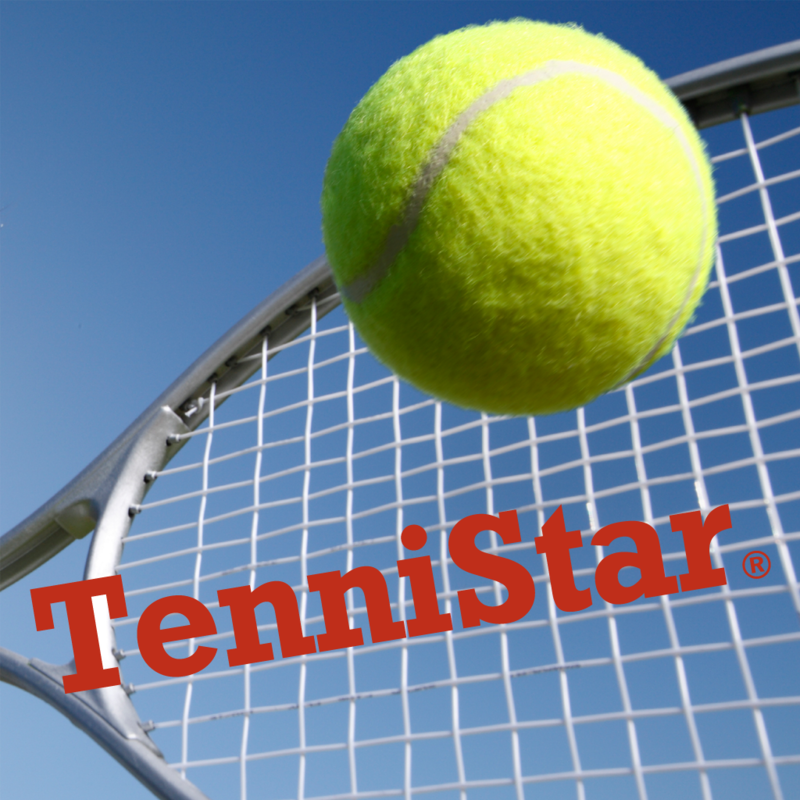 At TenniStar, we offer knowledgeable, quick, reliable service at a great price. We are your local tennis experts, and we take pride in offering the best tennis services around. Your racket will be strung by an experienced tennis professional to your exact specifications. Other questions? Feel free to ask any one of our tennis professionals. Q: How often should I restring my rackuet? A: The common rule of thumb is to restring as often per year as you play per week, but at least twice per year--once before the indoor season, and once before the outdoor season. This is just a rough guideline. Some types of string lose tension faster than others, heavy spin hitters wear strings out much faster than flat hitters, and some players seem quite happy to let the strings decide when to be replaced -- by breaking. Q: What gauge of tennis string is best? A: Thinner gauges offer more playability (often equated with "feel"). Thicker strings offer more durability. Most serious players who don't like to restring too often use 16 gauge. 17 and 18 gauge are for those who can afford string luxury. Each gauge has a light (L) variation that's a little thinner. Q: What's the best string tension to protect my arm? A: Lower string tensions prolong the contact between ball and strings, spreading the impact shock over a longer period of time and thus reducing stress on your arm.